Sometimes, good fortunes come from humble beginnings. Men and women have risen from squalid existence to make it in life. And even the schools they may have attended are nothing to talk about. This perhaps is the road on which Agness Nkomeshya is trotting along. From her home in Kamakonde area to her school in the same neighbourhood, nothing eases her daily hardships. Kamakonde is a slum in the western part of Kitwe, the second largest city in Zambia. This 13-year girl old who lost her father two years ago, has only her mother to fend for her. And she is not alone because her unemployed mother has to look after five other children. The family live in a mud brick house whose roof leaks when it rains. At home, her life is a battle of survival and while at school, it is all about endurance. The only structure which the Grade one, twos, threes and fours use at Kamakonde Primary School is dilapidated and unfit for learners. But Agness and her fellow pupils have defied the odds. For close to 20 years, the school has received little attention. The years have now taken their toll on this lonely structure built in 1998 when the community decided to open their own community school. 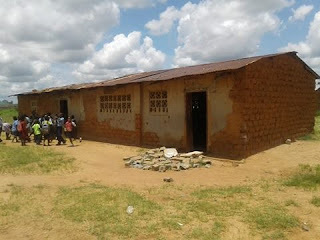 The two classrooms are overcrowded and pupils literally sit on the floor because the school lacks desks. The four grades take turns in sharing the two classrooms every day. In each class session, there are about 70 pupils being taught by a teacher. And the heat is unbearable and poor ventilation forces pupils to use their books as fans to get some fresh air. And to make matters worse, the classrooms get flooded when it rains. When the water takes over, classes are conducted under nearby trees. “The situation here is bad. When it rains, water flows into these classrooms and we abandon this structure. We conduct lessons under trees. 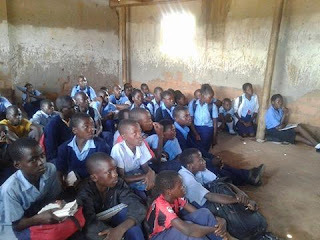 It is pathetic during the rain season,” said Hillary Muyoba, the Headteacher at Kamakonde Primary School. But despite these problems the pupils are undaunted. “I want to be an account when I finish school because I want to be counting money in a bank. 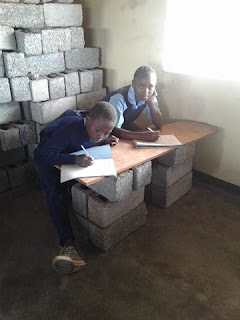 When am an accountant, l help me my mother, my father and my brothers,” said Mary Kasanga, a 10 year old Grade four pupil who was interviewed while seated on a brick. Another pupil Lweendo Malambo hopes to work in the medical field. “My ambition is to be a doctor. I will help the sick,” said Lweendo while seated on the floor. During the 2016 Grade Seven examinations, whose results were announced two weeks ago, Agness surprised everyone, she got 711 marks. This result made her one of the best pupils to have scored well in the whole of Kitwe District at a time when the Copperbelt Province has scored the least among provinces in the Grade seven results. “I want to encourage other pupils who may go through the hardships I went through. I encourage them to be strong and pray to God. He will bless them also,” said Agness in an interview at her home. Her mother Sara Sipula is with her all the way despite the hurdles she faces everyday to fork a living for the children. 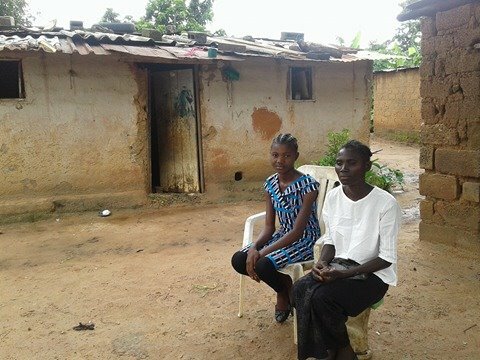 “When I got news that Agness passed her Grade Seven exam with flying colours, I was happy. But a minute later I started crying, thinking about my husband who should have seen her success. My only worry is how I will pay her school fees because am unemployed,” said the 41 year old Mrs Sipula. The school administration revealed that Agness was not the only pupil to have scored such high marks from the school in the past few years. “Agness has made us proud, she is a pupil who is easy to mentor and has a passion for education. Her 711 marks is a reminder that even pupils from poor communities can make it. Actually we have been having an increasing number of pupils getting over 700 marks in the last five years,” said Mr Muyoba. But Agness’ achievement has not gone unnoticed. It has caught the attention of the Member of Parliament for Nkana, the constituency where the slum of Kamakonde belongs. 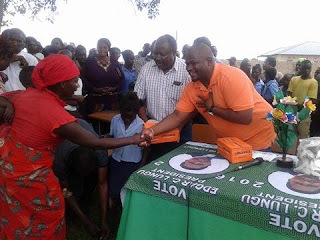 Nkana MP Alexander Chiteme recently pledged to sponsor all her school fees until she completes her senior secondary school. “I have been told that one of your pupils Agness Nkomeshya got 711 marks in Grade seven. Sure a child who was sitting on the floor while in class can get such high marks? As a way of motivating her, I will be paying for her school from today onwards until she completes Grade 12,” said Mr Chiteme amid ululations from residents of Kamakonde. This was during a recent community meeting in the area were the lawmaker also donated 50 pairs of shoes for the boys and the girls at the school. Some of the pupils had never known what it feels like to wears shoes. The lawmaker also gave the school footballs and replica jerseys. Next week, Agness is expected to join her Grade eight class at Chimwemwe Secondary School within Kitwe. Back at Kamakonde Primary School, not every pupil wears the navy blue uniform. This is because their parents cannot afford to buy them uniforms but school management does not turn them away. In Zambian government schools, pupils cannot be chased from school on account of lacking uniforms or school fees. The school’s plight also forced government to take over the school last year and construct a new classroom block which also has a staff room. The new building has two classrooms which are used by Grades five, six and sevens. Kamakonde Primary School has over 700 pupils with only 10 teachers who take turns in teaching the seven classes. Despite all these challenges, the learners exceed the community’s expectations in their academic performance. In the coming years, these determined children from Kamakonde Primary School may become the country’s captain of industries despite their daily struggle to gain an education. 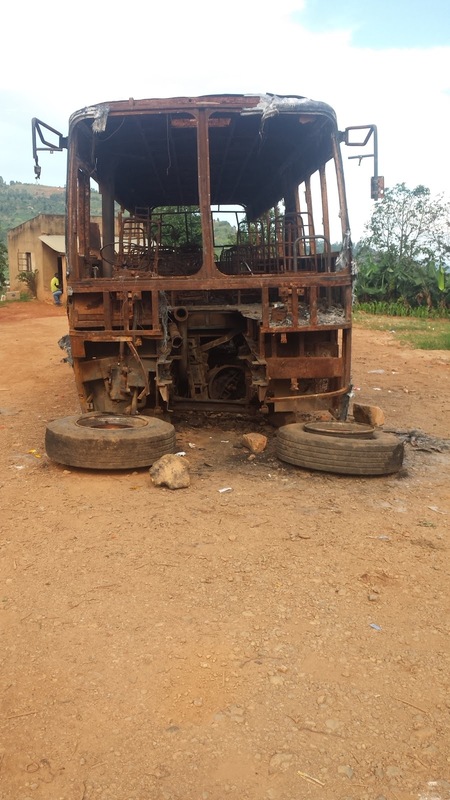 Burnt down state bus in Zimbabwe. could protect these public assets. Zimbabwe used to be the “Cayman Islands” style darling of Africa´s insurance industry. It boasted a life-cover premium market worth of $600 million at its peak in the 90s. It even hosted the Insurance Congress of Developing Countries in 2014. Now an astonishing decline has occurred: in 2014 Zimbabwe failed to pay a mere $100 000 premium to the multilateral financial institution, African Trade Agency (ATI), to cover its exporters in case of encountering cross-border business risks. An economy beset by vanishing dollars, out-of-luck citizens who sometimes attempt to fleece insurance agencies, means Zimbabwe´s re-insurance sector has entered a “save-our-souls” zone. Insurance, re-insurance is a double-edged sword in Zimbabwe, arguably Africa´s most stressed economy. In 2000, the country had three indigenous reinsurance companies and one foreign branch. In 2017, there are now seven local players. Still one foreign branch remain. Insurance, re-insurance players have to find a footing in an economy where the de-facto currency, the US dollars, is rapidly vanishing. In the same breadth, insurers must have stashes of ready US dollar cash daily to meet customer demands. For insurers and re-insurers, the elephant in the room is a lopsided economy that has chopped off 60% of its industries, halved down down 40% of its agricultural output since 2001. Worse, according to World Bank figures, the economy sent 80% of its citizens into biting unemployment. Zimbabwe´s commercial banks are mandated by gobbling cash crisis to dispense only $US80 a day to clients while re-insurance firms may need to access $US100 000 dollars a week to trade efficiently. “Workers are idle, at home, earning no incomes are barely able to settle insurance fees for cars, education or health let alone afford a new coat of paint for their homes. This is a stinging blow to the revenues Zimbabwe’s life re-insurance sector,” Thomas Sithole an actuary and Zimbabwe´s most famous insurance blogger who runs the site Acturial Lense. The situation more unbearable for Zimbabwe´s re-insurance industries because the bigger chunk of the country´s economy has skidded into uncharted waters. These are your street food vending entrepreneurs, backyard furniture manufacturers, and small scale gold diggers, small trade cosmetics importers – exactly the kind of business folk who will balk with suspicion on hearing the word “insurance” for their limited trades. “As insurance and re-insurance, we follow the fortunes of our clients. When their business is going down we cannot grow,” says Grace Muradzikwa, one of the country´s top insurance experts and a top executive at Nicoz Diamond, Zimbabwe´s leading multi-product insurer. The country´s remaining 6, 3 million Zimbabwe citizens still in active employment, are working in this “dark economy.” This places Zimbabwe´s insurance and re-insurance companies in dire straights. “Zimbabwe´s dark economy is responsible for siphoning off about $4 billion yearly from the formal sector where insurance companies trade,” says Thomas Sithole the actuary. Zimbabwe is a tricky destination for investors to park their money. Corporate information is scarce, when available it is unreliable. A weak legal system makes debt collection difficult, endemic corruption means political elites can seize private properties and assets – and now a currency confusion means normal transaction like the global Visa MasterCard – are limited. In 2016, Zimbabwe ranked a lowly 31st out of 53 countries across Africa in Fitch BMI Research’s latest investment operational risk index. Trade sanctions imposed by Australia, the EU and US in early 2002 makes the country an unattractive destination foreign re-insurance companies to do business in Zimbabwe. A world-record 500 % inflation bill ravaged the balance sheets of the country insurance and re-insurance sector and rendered clients savings worthless heaps of cash. The country´s non-life insurance sector where re-insurance companies sit has failed to recover up to today. Fast turnaround solutions should be holistic. “Zimbabwe´s public perception towards the insurance industry is at an all-time low,” says Thomas Sithole the actuary. The country´s giant re-insurance firms have been battling their feet to remain afloat in a diseased economy. One way they have done so is through local reinsurance players consolidating into strong global groups as Zimbabwe cannot sustain a closed insurance market. “Roughly at least 15-20% of cases that are settled by insurance companies in Zimbabwe are fraudulent claims. Insurance fraud is now an infection,” says Grace Muradzikwa, the insurance guru. "The sad thing is some us insurance operators are even aware of the various methods used to perpetrate but are powerless to respond" reveals Baobab Insurance director, Tarupiwa Tarupiwa, one of the country most prominent operators. In a startling incident in 2014, court processes were initiated after claims that top officials at the country state owned airline had fleeced the taxpayer of millions of Euros after entering into fraudulent repeat re-insurance schemes. Insurance fraud costs up to $9 billion a year according to ABI figures, but in Zimbabwe the data is absent – or if partly available, woefully inaccurate. Insurance scams in the country can take sinister dimensions. In one such scam, participants acting from the United Kingdom to Zimbabwe, stage managed a car crash in 2015 and burnt a stolen corpse to swindle $70 000 dollars from an insurance firm. As Zimbabwe´s economy plunges, offenders are tempted to stage insurance scams because the risk of capture by verification technology is low, rewards are tantalizing and insurance claims assessors are reactive. “An exodus of qualified actuaries to South Africa, EU or Australia has left insurance firms staff with claims assessors who work manually where technology measurers are needed,” says Thomas Sithole. “Mobile banking has crippled banking in Zimbabwe,” declared the South Africa Broadcasting Corporation in May 2016. The casualties list, no doubt, includes Zimbabwe´s re-insurance sector. The figures and glaring, almost depressing for insures, says the Reserve Bank of Zimbabwe. The country´s mobile telephone banks sliced away $6, 1 billion in customer transactions in 2015 leaving traditional banks and insurance firm to fight for a reduced $3, 5 billion bone. They prefer to keep their meagre savings on their cellphone, where at the punch of a finger they could wire money in seconds. “The cellphone is the bank,” says banker Norman Mataruka, a senior executive for currencies supervision at the central bank. This sounds a gradual death knell for Zimbabwe´s brick-and-motor banks and related insurance offices. This tough new competition is terrific to handle for Zimbabwe´s re-insurance companies. In conclusion, it doesn’t need a rocket scientist to see where the country´s risk protection industry is headed. One can bet that unless Zimbabwe´s fundamental ease-of-doing-business problems are addressed, insurance and reinsurance companies will continue to battle a storm of bankruptcy and gobbled earnings. ABOUT THE WRITER: Ray Mwareya is a journalist at INPERSPECTIVE MEDIA and GroundUP News. The World Bank has kick-started a five year environmental program aimed at alleviating the suffering of the people in three Zambian towns which are heavily polluted and whose residents have been affected by pollution. The Zambia Mining Environment Remediation and Improvement Project is funded through a US$ 65.6 million credit facilitated by the World Bank’s International Development Association. The project aims at reduce environmental health risks for people residing in polluted mining areas in Kabwe, Kitwe and Chingola Districts. For the past 52 years, mining has been Zambia’s biggest revenue earner. The country has largely depended on minerals, especially copper, for its survival. The country is the second largest producer of copper in Africa and the third in the world. However, this natural resource has its own challenges. With over decades of mining having been done in Zambia, the legacy of mineral extraction has not been good. 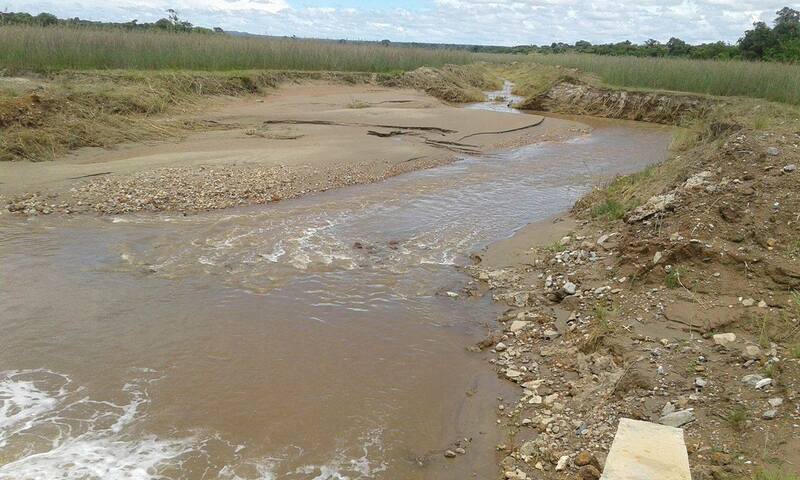 In mining towns like Chingola, rivers and streams have been contaminated by the mines. This has led to people getting sick while a handful have died due to pollution. At an Action Aid-organised forum for residents of Chingola to speak out about pollution last month, many residents could not hide their anger. “We have seen people die, we have seen people getting sick, we have seen water polluted. But nothing is being done to stop this pollution,” said Bernadette Mulamba, a Chingola resident and an environmental activist with the Catholic Commission for Justice and Peace. A few days earlier, Chingola Mayor Titus Tembo had complained of Zambia’s largest mining firm Konkola Copper Mines (KCM) of having polluted the Mushishima stream leading to fish die and villagers picking and eating it. “KCM has polluted the.Mushihsima stream killing fish. Because of poverty, our people are eating the dead fish and some have become sick, said Mr Tembo. The story is the same in Kitwe which hosts major mines. Here, both air and water pollution has been reported. In December last year, the Kafue river which supplies water to the city of Kitwe was polluted with high levels of sulphate which forced the Nkana Water and Sewerage Company to switch off water supply to the city which has over 500,000 residents. This was followed by the Zambia Environmental Management Agency (ZEMA) instituting investigations on seven mining firms which discharge water into the Mwambashi stream and the Kafue river. 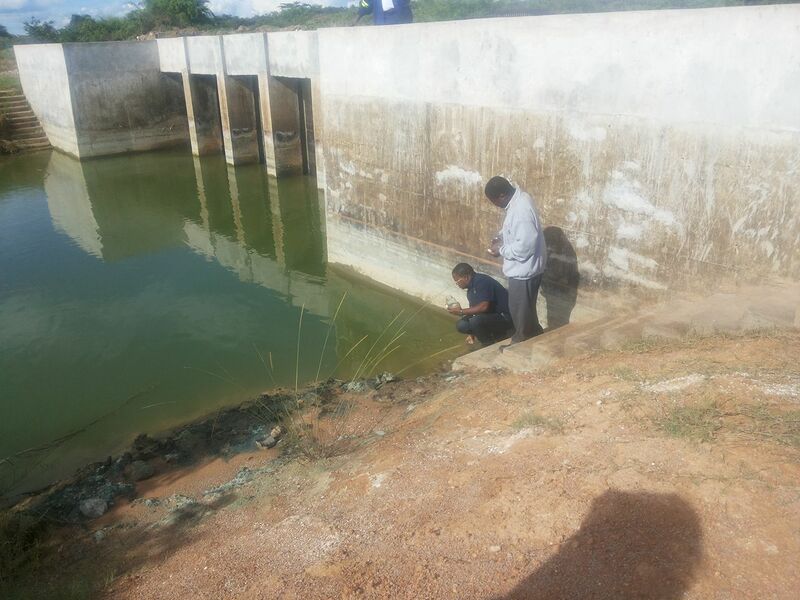 ZEMA inspectors took samples from the seven companies and tested them in three separate laboratories but to date, the results are still being awaited. And in Kabwe, the legacy of lead and zinc mining is evident. The town, which is infamously called a ghost town, is said to be the worst hit city in the world in terms of lead poisoning. According to data from the World Bank Country Office in Zambia, studies done in 2003 – 2006 showed that the content of lead in soil in certain areas of Kabwe were as high as 26,000 mg/kg against the acceptable levels of about 10 to 50 mg/kg making the land unsuitable for residential and agricultural purposes. With these case studies and accounts of real pollution in the three mining towns, the World Bank Board of Executive Directors on 20 December, 2016 approved the credit for the Zambia Mining Environment Remediation and Improvement project. The project is expected to benefit 70,000 people who live in the areas heavily polluted by the mines. 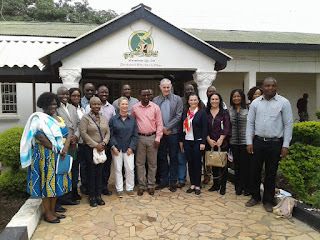 On Saturday, a team of World Bank officials from the Zambian office and the bank’s international headquarters in Washington DC visited Kabwe to launch the project. The team explained why the Zambia Mining Environment Remediation and Improvement Project is important to people in the three mining towns. “Mining Environment Remediation and Improvement Project will be implemented for five years from 2016 to 2021. The project’s objective is to reduce environmental health risks on the local population which is associated with mining in criticall polluted areas of Kabwe and other Copperbelt towns,” said World Bank Country Manager Ina-Marlene Ruthenberg. And newly appointed Central Province Permanent Secretary Chanda Kabwe, who hosted the team in his office, pledged the Zambian government’s support for the project. Mr Kabwe, who is just a few days in the office, spent the past three years as District Commissioner in the mining towns of Mufulira and Kitwe which are both polluted by mining. “Having come from the Copperbelt where I saved in the mining towns, I pledge my support to ensure this project succeeds. Central Province is predominantly an agriculture area and pollution affects the crop. This could also affect food security. 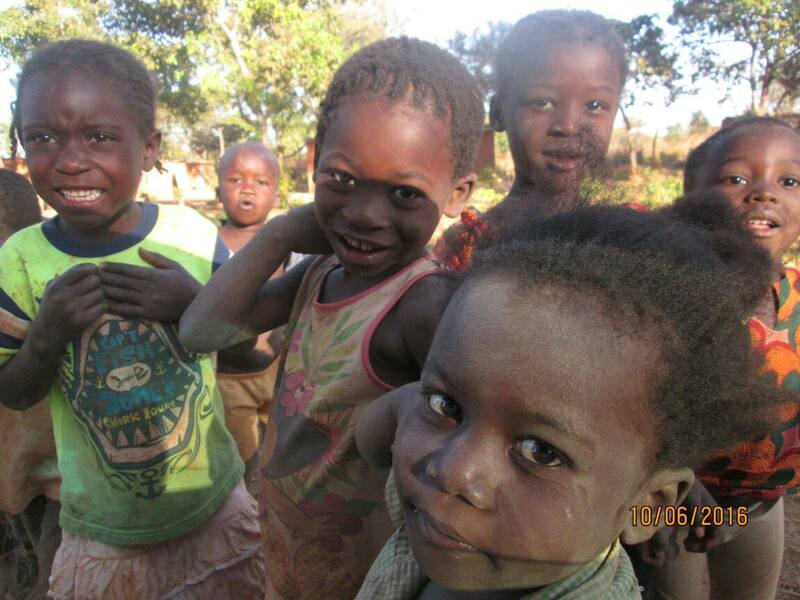 So we will ensure this project succeeds so we can fight poverty,” said Mr Kabwe. The Project will work with the City Councils in Kabwe, Kitwe and Chingola to ensure that the impact in terms of implementation is owned by the respective local authorities. And leaders in the respective municipalities are happy that the project will alleviate some of the suffering their people go through. For Kitwe Mayor Christopher Kangombe, the project is more than welcome to the country's second largest city. “We commend the World Bank for committing US$65.6 million to this project. We welcome this project and hope it will help us reduce the effects of pollution in Kitwe. We however wait to learn the scope of work,” said Mr Kangombe. Kitwe-based Ministry of Mines Director of Mine Safety Gideon Ndalama will serve as the National Coordinator for the Zambia Mining Environment Remediation and Improvement Project. In this role, Mr Ndalama will work with the World Bank, the three municipalities and the Zambia Environmental Management Agency. “This is a locally entrenched project, we should all own it. This is the only way we will have sustainability,” said Ndalama. In terms of benefits to the local people, this project targets to provide medical interventions to over 30,000 children. The projects plans to reduce Blood Lead Level (BLL) by 50% among children under the age of 15. Over 4,000 of these children are expected to be tested for BLL by 2022. World Bank Environment Specialist Mwansa Lukwesa explains that the health component to the Zambia Mining Environment Remediation and Improvement project is important because pollution has effects on people’s health. “The project will test and treat children under the age of five and giving them supplements. The issues of lead poisoning are linked with nutrition because most of the people affected are poor,” he said. By the year 2021, the Zambia Mining Environment Remediation and Improvement Project is expected to reduce lead contamination in Kabwe by 70 percent. Further, the project also aims to empower 500 women and unemployed youths with income generating activities which will keep them away from jobs that expose them to lead poisoning. Due to lack of jobs, some Kabwe residents have broken locks to the tailing dams and opened them to have access to quarrying stones. 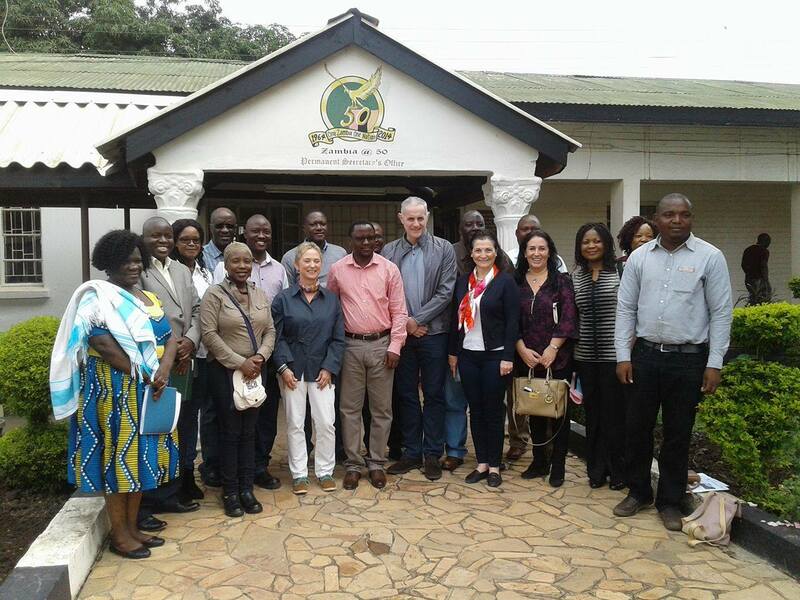 The Zambia Mining Environment Remediation and Improvement Project is the second environmental program the Bretton Woods institution has funded in Zambia to fight pollution in mine areas. 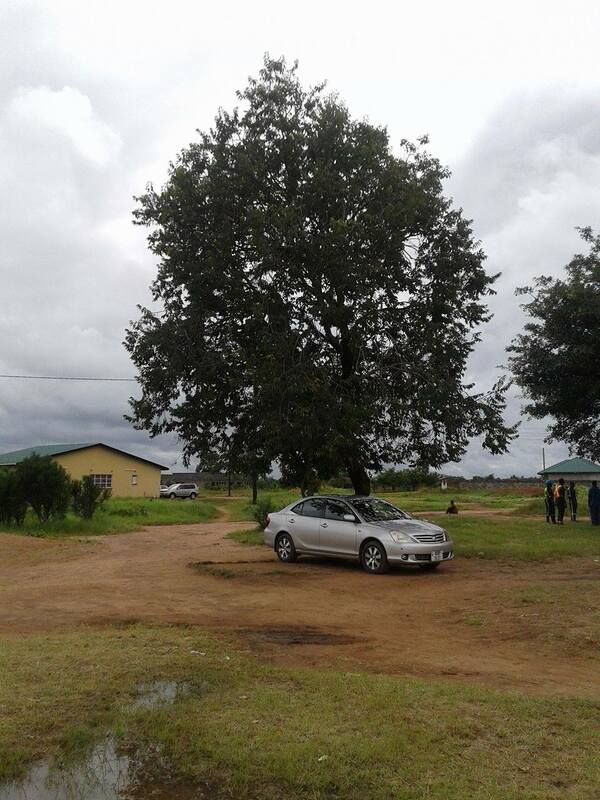 Between 2003 and 2011, the World Bank funded the Copperbelt Environment Project which produced some findings which the current project aims to build on. Kabwe was at the center of lead mining from 1902 until the mine was closed in 1994. 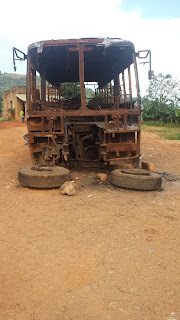 Illegal stone quarrying in the former mine has continued and a recent tour by this blogger found some residents conducting driving lessons at the former mine site. All these activities increase people's exposure to lead. A Youth-led non-governmental organisation in Central Province has saved over 200 children from harmful child labour practices and taken them back to school for further education. Youth First Foundation (YFD) has supported 237 children who it has sent back to various schools in Chibombo District since 2013. The children will continue being supported and mentored for as long as the organisations donors keep offering their help. Through a grant of US$10,000 (K100,000) from the Global Fund for Children, YFD has helped children who had lost hope on school, get a second chance in life. Recently, the organisation hosted a public event where 50 of the children gathered to share their experiences on how the project had made an impact in their lives. Through the Stay In School (SIS) initiative, children who had dropped out of school and started looking after cattle or selling by the roadside, or carrying heavy loads for business, were brought back to the classroom to continue literacy and numeracy lessons from where they had stopped. 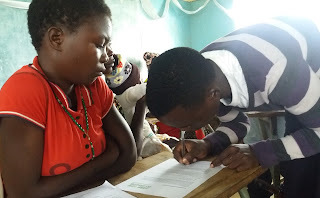 At the event, their parents signed contracts which committed them to making sure that they allow their children to attend classes when school is in session. During the event held at Nachibaya Primary School last week, Youth First Foundation Founder and Board Chairman Cooper Chibomba said the organisation was aiming at empowering children and changing lives. “Now, in advancing the education of our children, Youth First Development has committed itself to a number of life changing things and one of them is to work closely with the government in ensuring that children access education and to partner with every school to track the progress of children in their education. Its not enough to just send them to school, we must educate them. We are also entering into a binding social agreement with parents to ensure that NO CHILD is Left Behind, said Mr Chibomba, amid ululations from the parents. He also announced that 50 orphans and vulnerable children would be given education support in the coming years to ensure that they continue furthering their education adding that empowering such children with education would help in improving quality of life and creating a bright future for them. Mr Chibomba, a 2016 Mandela Washington Fellow, revealed that the children will not only get education support but other support necessary for improving life. “The children will continue to be reached with information and school programs on access to sexual reproductive health and rights, teenage pregnancy, early marriage, defilement and all forms of physical abuse,” he said. And Chibombo District Commissioner Barnabas Musopelo commended Youth First Development for giving hope to the many children its working with. Mr Musopelo said the Zambian government was happy that the local NGO is implementing its project through young people who live in the community especially that 80% of its board members were local villagers. “I know that resources sometimes can be very difficult to mobilise but I am encouraged by the fact that the investment we are making today in our children through the Stay In School program will help make Chibombo a better place,"said Mr Musopelo. He added that educating children is a direct way of fighting poverty, injustice, all forms of discrimination and giving equal opportunities to girls. "I urge other NGOs working with children to learn from Youth First Development on how best they can tackle harmful child labour practices and how to work with children at risk of early marriage, teenage pregnancy and children that are at risk of dropping out of school due to poverty. I find that their model of rescuing, supporting and coaching provides long-term support to the children and their families is effective. Government alone cannot do these things, this is why Youth First Development has partnered with government to ensure that our children go back to school, stay in school and are progressing in their education". In Zambia, a person under the age of 16 cannot be employed. According to the Employment of Young Persons and Children Act, employing a person under the age of 16 is illegal in Zambia. Despite this law and similar others like the Employment Amendment Act of 2015, child labour is still a major problem in the country. For example, the 2015 Child Labour and Forced Labour Report by the United States Department of Labour reveals that children in Zambia continue to engage in labour practices in the production of tobacco and commercial sexual exploitation. The Zambian government has been placing billboards and running TV adverts to fight child labour. Further, the International Labour Organisation (ILO) has also been implementing several projects aimed at withdrawing children from labour across the country. Through its Achieving Reduction of Child Labour in Support of Education (ARISE) Project, ILO withdrew 575 children from child labour and a further 4,327 were prevented from engaging in child labour. The biggest challenge to fighting child labour in Zambia is the deep rooted culture were children are supposed to help their parents do house chores. This ends up taking the children to full time jobs and activities which are meant for adults. To win this fight, stakeholders must engage chiefs and other traditional authorities to try and change people's day to day way of life. Over 20,000 hectares of maize has so far been destroyed by the fall army worms in Central Province since the first cases of the pests were reported in the region late last year. Newly appointed Central Province Permanent Secretary Chanda Kabwe says the region has now become one of the hardest hit by the pests alongside the Copperbelt province. Mr Kabwe says the deployment of Zambia National Service (ZNS) officers across the province has helped contain the fall army worms in most of the districts which are hard hit. “So far, the situation looks under control. We have distributed over 10 thousand chemicals across Central Province since the fall army worms were first reported. 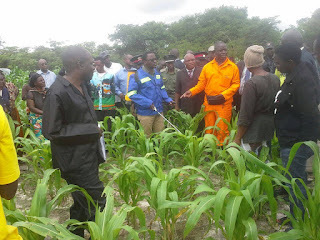 We have another consignment coming this coming week, we are doing everything possible to fight these pests,” said Mr Kabwe when he toured some affected farms in Kapiri Mposhi’s Kambosha area on Friday. The Central Province Permanent Secretary assured farmers in the province that government is doing everything possible to ensure that they have a good harvest at the end of the current farming season. And Kapiri Mposhi District Commissioner Peter Mwiinde has revealed that about one thousand four hundred hectares of maize have so far been sprayed by the authorities. Mr Mwiinde says the District is this weekend expected to receive more bottles of the chemicals to spray the remaining one thousand hectares. “We received 700 litres of the chemicals to fight the army worms. So far we have sprayed 1,458 hectares but we are still remaining with 1,000 more hectares. Am confident we will spray them too and produce a bumper harvest this year,” said Mr Mwiinde. Meanwhile, one of the hard hit farmers is Mary Zimba, whose three fields in Kambosha area along the Great North Road were attacked by the fall army worms late last year. “When my fields were attacked, I had lost hope. I was worried that this year we will be in poverty. But with the free chemicals I received from the agricultural extension officers, my crop has been saved,” said Mrs Zimba. A check in her three maize fields found her crop was growing well and had reached knee level. Tomorrow, authorities in Kabwe, the provincial capital, will be deploying inmates to beef up the ZNS team which is fighting the army worms in the fields. 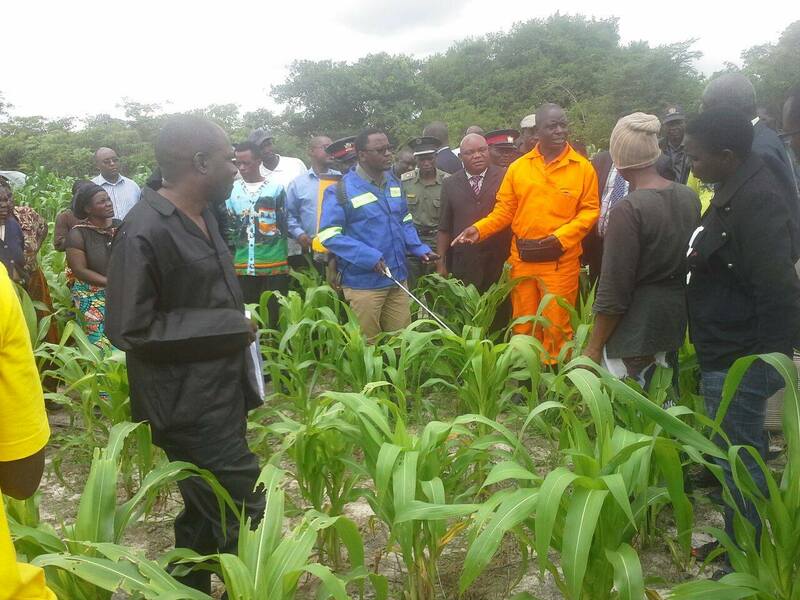 Due to security reasons, the prisoners are only expected to spray fields which are in the outskirts of Kabwe town.